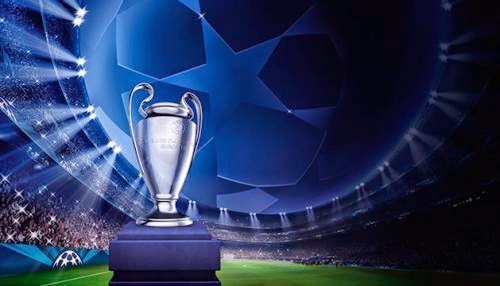 Champions League 2014-2015 draws: Round of 16: Arsenal, Real Madrid and Bayern Munich fans all should be smiling as they got an easy fixtures as compared to the others. Champions League draws for the knockout round has been been revealed officially. Arsenal, Real Madrid and Bayern Munich fans all should be smiling as they got an easy fixtures as compared to the others. Real Madrid will play Schalke, Bayern Munich will play Shakhtar Donetsk and Arsenal to play against Monaco (Arsenal boss Arsene Wenger's former club). These sides just look easy but they all are going to give a tough fight as they have reached the same round with the same hard work. Barcelona will face Manchester City once again, they also met them last season in the round of 16. The Catalans won 4-1 on aggregate. Last time finalists Atletico Madrid will play German side Bayer Leverkusen who don't have enough experience. Chelsea will meet PSG only for the third time in the Champions League history, last time they met was in previous season. Juventus vs Borussia Dortmund will be an exciting game to watch despite of Dortmund's poor run this season. First leg will be played on either 17th and 18th of February or 24th and 25th of February, while second leg will be played on either 10th and 11th of March or 17th and 18th of March.